Dewalt 24V 1 Hour FAN COOLED Charger. FAN COOLED technology quickly cools down the batttery thus extending battery life. 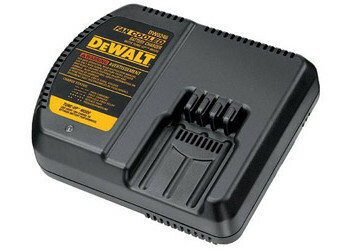 Charges all DEWALT® 24V batteries so 24V users need only one charger. Charges all 24V batteries in 1 hour or less thus minimizing down time. 3-Stage charging system provides maximum run-time and extends overall life of the battery.